Are you looking for luxurioushotel vanity tops in Maryland, Northern Virginia, Baltimore, Annapolis, Alexandria, Fairfax, DC, or the surrounding areas? If you own or operate a hotel, then you know that you need to do everything you can to make sure your visitors feel welcome and have as nice a stay as possible. One way to do just that is to make sure they get the right first impression with every experience–including with their vanity. Keep reading to learn more about hotel vanity tops and how to find the right style for your guests. If you’d like to speak with a vanity top expert who can answer all of your questions, give us a call at 410-712-0601today. If you prefer, you can click here to contact us online and request a FREE estimate. Take a look at the many places around your hotel that a guest might venture and you’ll realize that there is plenty of opportunity to make an impression on guests. What are some of the ways you can use vanities to your advantage and impress your guests? Make Sure You Have Them in the Bathrooms – This is the obvious choice, but deserves to be mentioned because of the number of options available.The bathroom is one of the most common places to put a vanity and there are a wide range of materials that can be used for the attached countertops.You can use something like marble for you’re the counter attached to your hotel bathroom vanity to create a sense of luxury that every guest likes, and that is something that will keep them coming back. Have Additional Vanities in the Bedrooms – You’re guests may want to make last minute adjustments before heading out, and having separate, smaller vanities in the actual bedrooms might be a good way to make that happen.With an accessible vanity right in front of them, your guests will be able to make efficient use of their time during their stay. Consider Vanities in the Reception Area – Hotel vanity tops don’t need to be limited to hotel rooms. Think about having some placed in your reception area and you can create a more elegant look that will make a strong first impression.You never want to waste a chance to make sure your guests have a positive impression of your establishment, and you won’t by giving the first area your guests see a strong image that will remain with them through the rest of their stay. These are just three areas in which you can put the installation of a vanity to good use, but there are many others. Because a hotel is all about the experience, you want to look for remodelers and experts who make sure you can capitalize at every turn. When it comes to vanities and countertops, you’ve found those experts. Quality fixtures make all the difference, so when you need countertops and vanities that help you stand out, make sure you turn to the professionals of Express Countertops. Our products come from name brand name brand manufacturers who provide everything from a granite vanity top to laminate, so you’ll find something that fits with your décor no matter what. Whether you run a hotel or a motel, there is something out there that can help improve its aesthetic quality. Get in touch with us today and you’ll find out just what it is. Contact Express For Hotel Countertops Today! Call us at 410-712-0601or click here to contact us online to discuss hotel vanity tops and tell us just what you need. 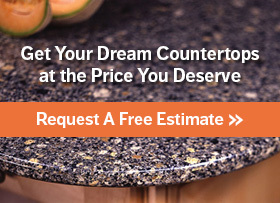 We’ll help you find the perfect hotel countertops for your needs, regardless of style, material, size or budget.